Good news everyone! We have combined our two different marketing services into one contact form on WordPress. If you value time and effort, SE Contact Form will be a great choice. Using this Wordpress SMS plugin to start off your marketing campaigns, will save you time and effort while focusing in reaching your marketing goals. You will be receiving more feedbacks and our amazing Wordpress contact form plugin is very easy to setup. Just within a few clicks your form is done. 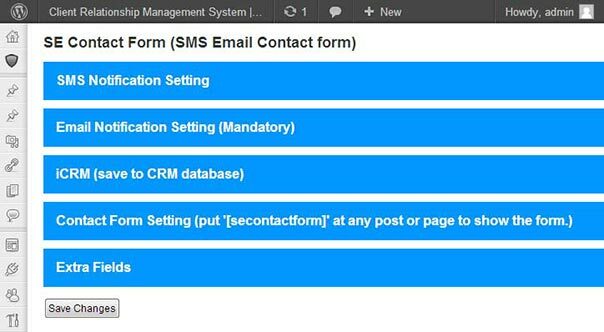 UPDATE: We have updated the plugin with new layout for SMS setting, Email Setting, CRM database setting, Main Form setting and extra fields. 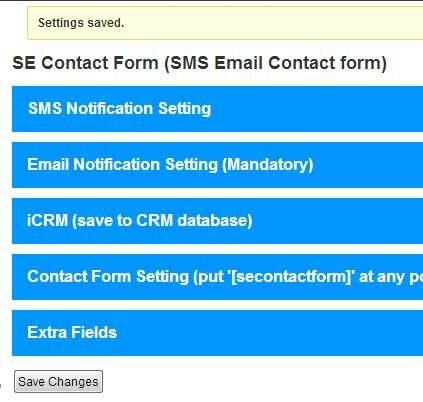 Download SE Contact Form Wordpress SMS plugin (below). Copy [secontactform]. 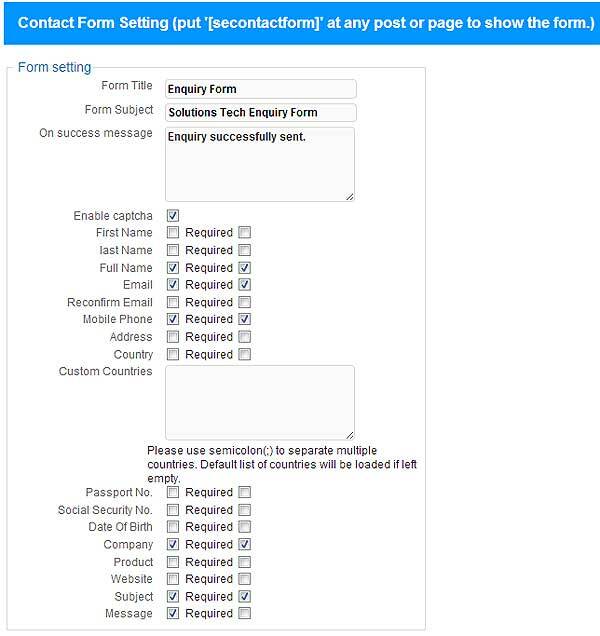 Then, go to 'Pages' and click 'Edit' on whichever pages you wish to place the contact form. A common practice will be creating a 'Contact' page and paste the code you copied into the contents of the page. See, easy right? Your contact form setup is now completed and your website visitors starts subscribing your newsletters. Note: Terms references are readily available in the Wordpress SMS plugin. The terms explanation is located immediately on the right side of the setting's form. After installing the Wordpress SE Contact Form Plugin, you may click on the following tabs for configurations. Please fill in the details accordingly in this mandatory tab. You may use your existing email account to setup. 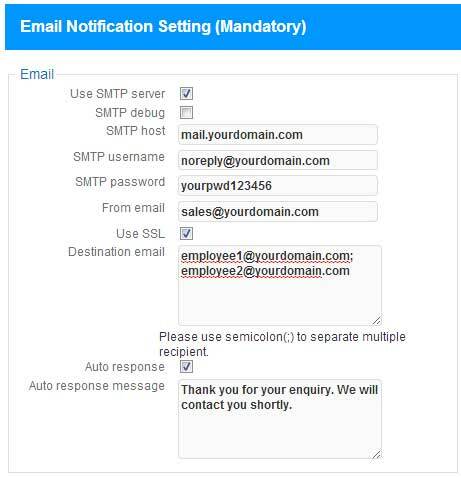 However, we do advise you to create a noreply email so the settings in here will not be affected when e.g. your existing email account password is reset. 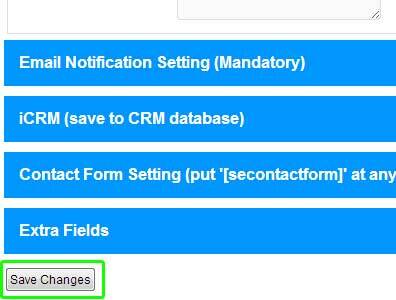 To configure which fields to appear in your contact form, you will need to click on "Contact Form Setting" tab and tick the checkboxes of the fields accordingly. Below is a regular example of what is contain in a standard contact form. Should you require more details from your potential customers, you may tick on the checkboxes for the other fields. 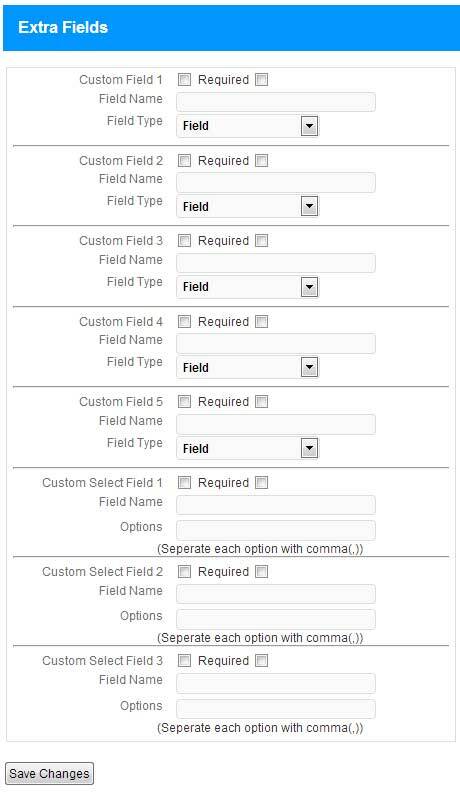 If the fields you require is not available in the default list, you may click the "Extra Fields Tab" to insert your custom fields. Note: You are only allowed to insert text fields and select boxes. 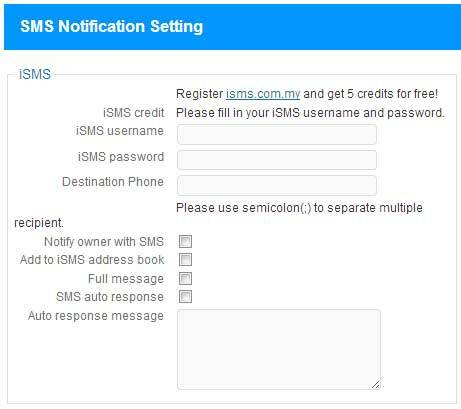 To use SMS Notification, please register with Bulk SMS Malaysia and key in the information accordingly. 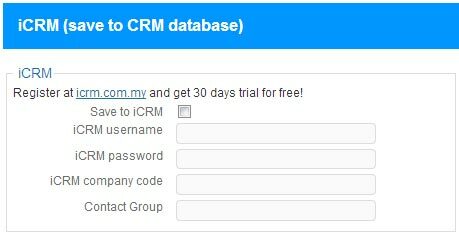 In order to avoid losing contact with your potential customers, all customer contacts will be sent to iCRM Malaysia through the contact form. Please register with iCRM Malaysia and fill in the details accordingly. After insert all the necessary details into the fields inside the tabs (extended or contracted does not matter), you can click "Save Changes" to save the configurations you did. Finally your settings is now saved. Now, you can use the Wordpress SMS Plugin.